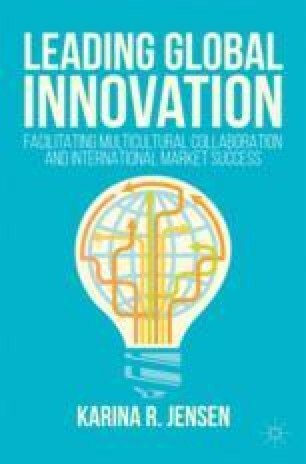 The introduction provides an overview of the changing forces for achieving innovation in a global and dynamic environment. It points to the readiness factors that need to be considered for the phases of the global innovation cycle, from concept creation to execution. Readers will also receive a more detailed description of the international studies that inspired the book, with data collection involving more than 200 leaders and 45 multinational firms. The Multicultural Innovation Framework is presented and used as the primary reference for the book in leading and facilitating multicultural collaboration.